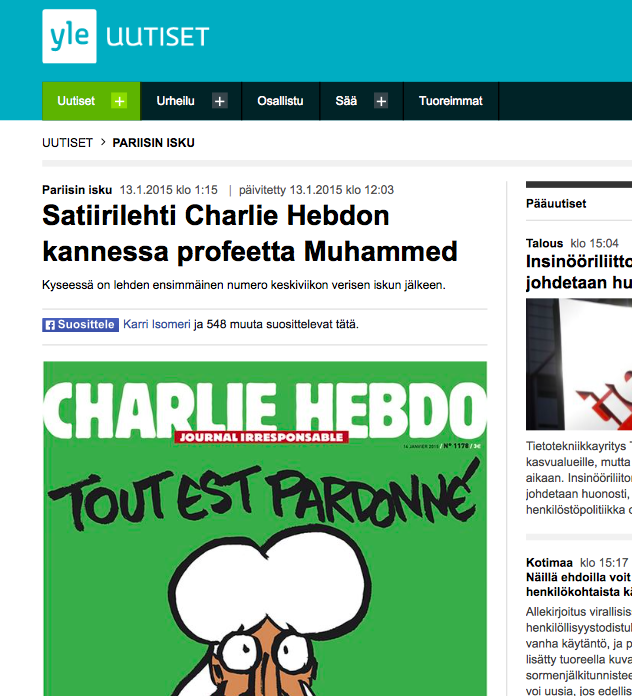 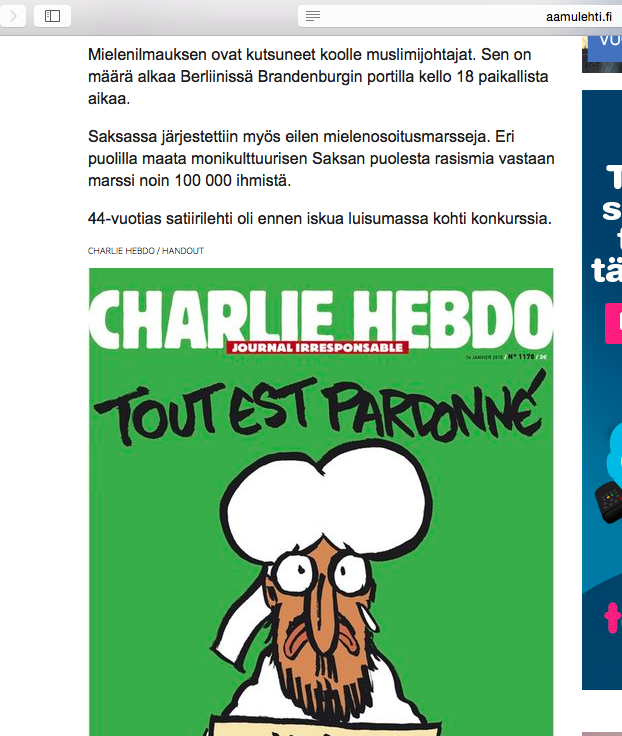 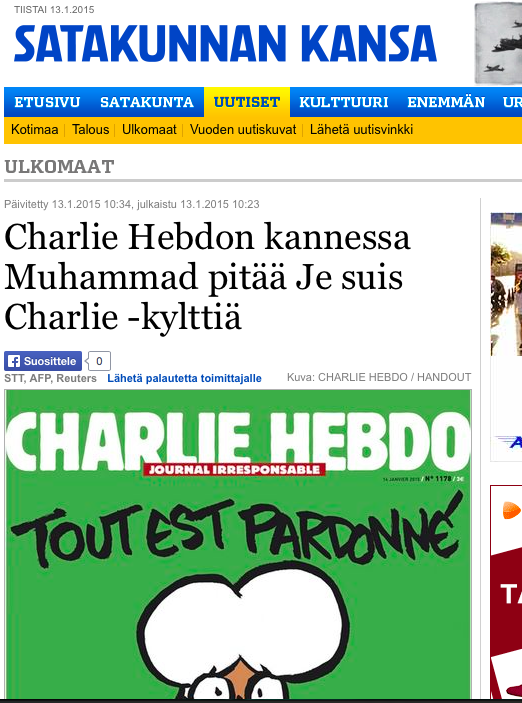 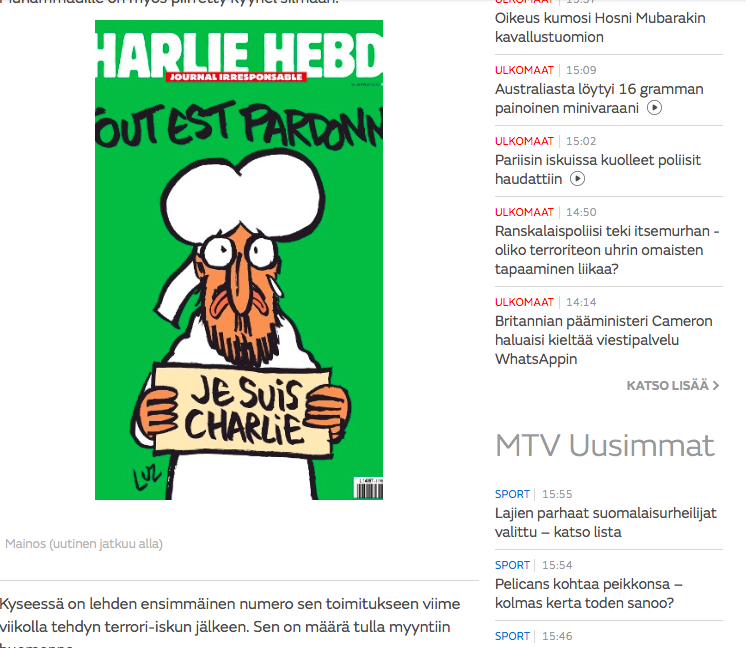 Every major Finnish media published the cartoon of Prophet Muhammad depicted on today’s cover of Charlie Hebdo on their web pages. 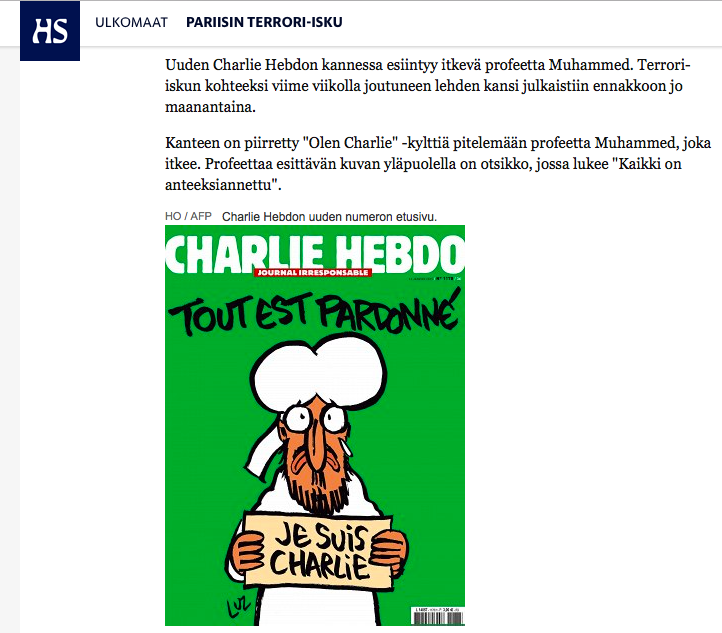 The cartoon was published along with news on the publication of the first issue since the Paris terrorist attack. 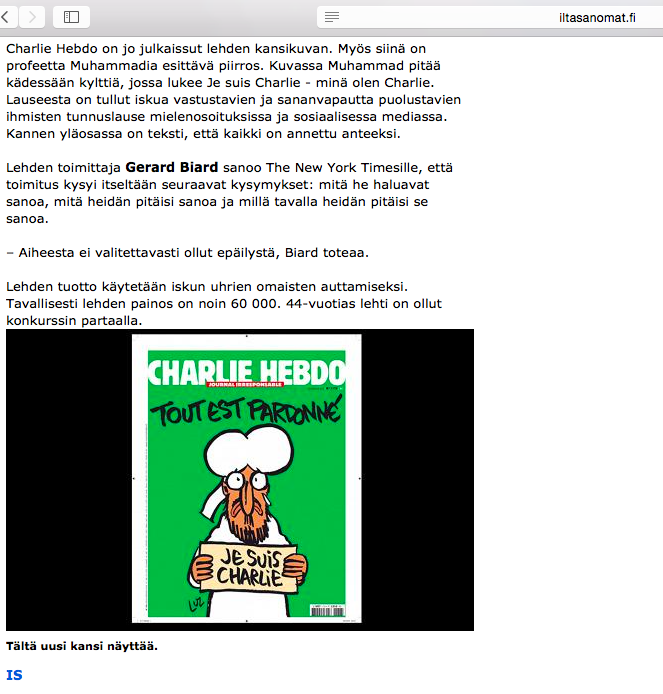 Below is a screen shot from each web page taken on the 13th of January 2015, 4 pm, with a link to the page.